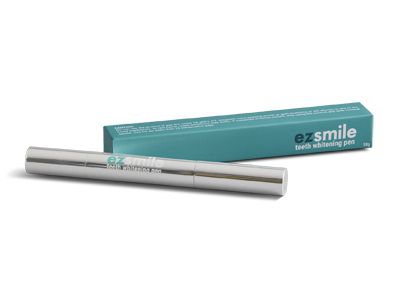 EZ SMILE® Teeth Whitening Pen is a pen that helps make teeth three to eight shades whiter in just 20 minutes. It helps delivers results in six applications, with no lights or uncomfortable trays. It is formulated with 18 per cent carbamide and is safe and easy to use.